A fire in the basement is different than any other fire to which we respond. Fire spread from basement areas through vertical and horizontal voids will cause severe structural instability and critical fire loads within a building. “It’s in the Basement” are four words that should make everyone on the fireground immediately rethink their strategies and tactics. Usually this radio transmission is heard after several minutes on the fireground, while members are searching the structure under heavy heat and smoke conditions only to discover the fire is burning below them. Topics to be covered include building construction, size up concerns, proper hand line placement, ventilation and search procedures. This session will provide an interactive forum designed to discuss and define the key relationships strategy and tactics, street-wise size up, and risk benefit analysis have on the critical first few minutes of structural firefighting operations. By utilizing the “Fire Service Rules Of Engagement”, first due video, and photo based scenarios the instructors will uncover the mission essential importance of gathering and evaluating building intelligence, identifying potential risks, and weighing the benefits of the chosen strategy and tactics prior to committing personnel to operate within these dangerous environments. In addition, through the utilization of this “real time information” students will be challenged to rapidly develop, support, and justify effective incident action plans consistent with the hazards and risks of the incident. Rapid Intervention Crews are the most significant, readily available fireground resource utilized to enhance the safety of firefighters operating at emergency incidents. This program will address the needs assessment for an incident commander and for the fire department of who, when and how does a RIC get developed, staffed and deployed. This program will provide an outline for instructors to utilize in preparing fire departments in accomplishing their goals of having a readily available RIC. This course covers state and federal mandates, size-up, team composition, deployment, operational responsibilities, terminology, and post incident analysis. This course will explore case studies as well a provide an emphasis on building construction, safety and size-up to give the students a better understanding of their roles and responsibilities when assigned as a member of a RIC on the incident scene. 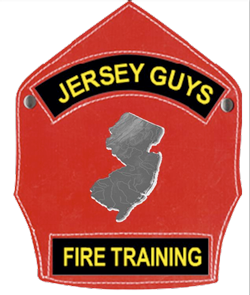 You are currently browsing the Jersey Guys Firefighter Training blog archives for February, 2011. Jersey Guys Firefighter Training � 2009. All rights reserved.